There is no way you can read/listen to this and not be changed. I found myself backing up and re-listening dozens of times because the content is so good -- I had to hear it again! 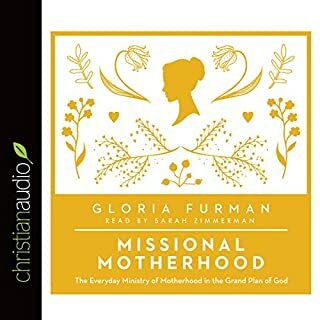 My husband and I are constantly talking about how we can have a missional perspective in accordance with God's Word and concepts talked about in this book -- it will be revolutionary to our lives, how we raise our children, interact with our neighbors and coworkers, and go about even the "normal" activities in our daily life.